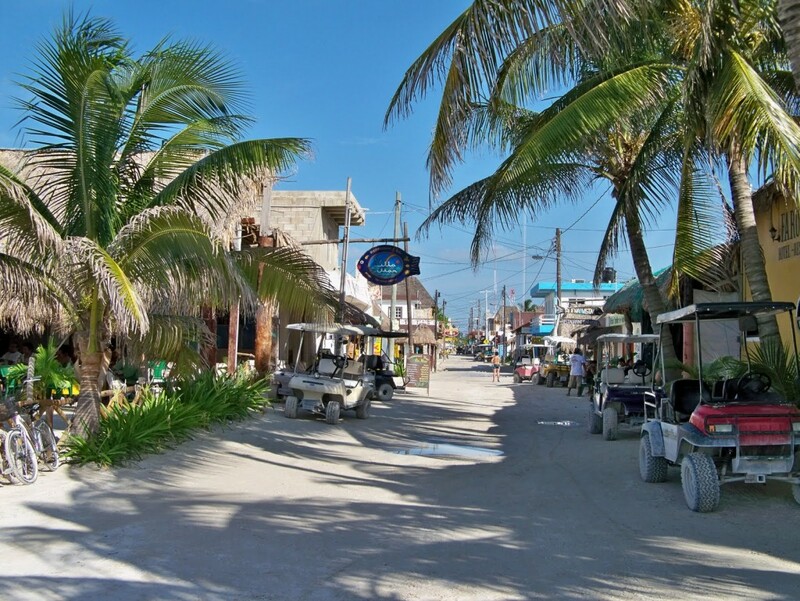 Isla Holbox is an island located north of the Yucatan Peninsula. It is a former island of pirates and far less visited then other places, but recently a new toll highway makes it easier to access from Playa del Carmen and Cancun. 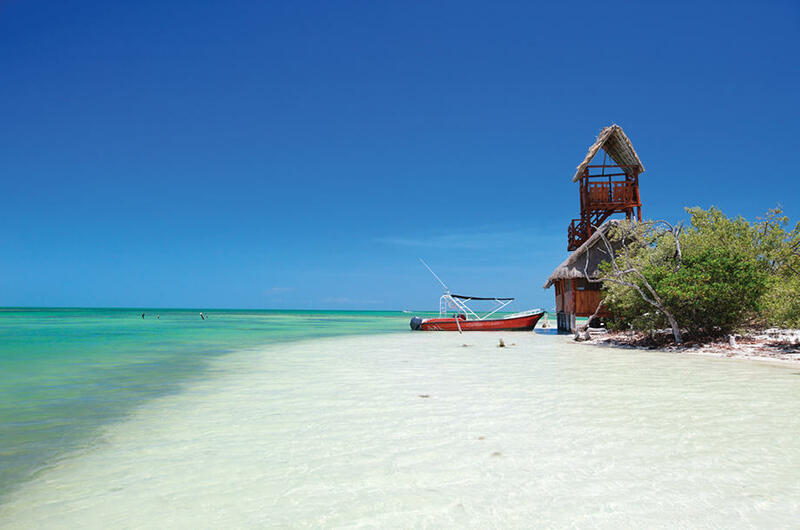 Isla Holbox is, so far, untouched by mass tourism. There are no all-inclusive resorts, only many small hotels or hostels and the clientele is very European and Mexican. It is reached by boat from the village of Chiquila and the trip takes 30 minutes; then, we arrive directly at the village, which has remained a true fishing village, with its sandy streets, no cars here, but just little golf carts that people use to get around the island. 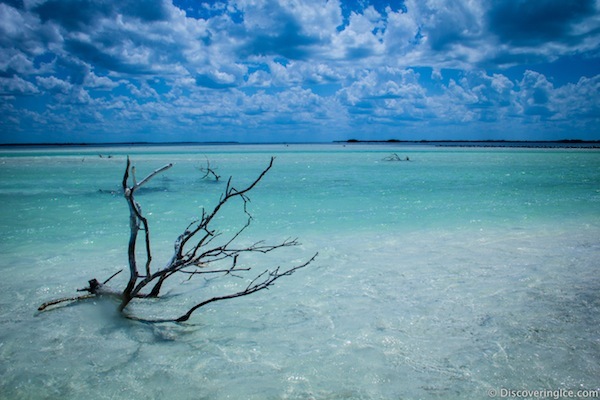 One finds many kilometers of deserted beaches on the island of Holbox and the water is certainly a little less turquoise than in other areas of the Mayan Riviera, but the landscape is still beautiful! 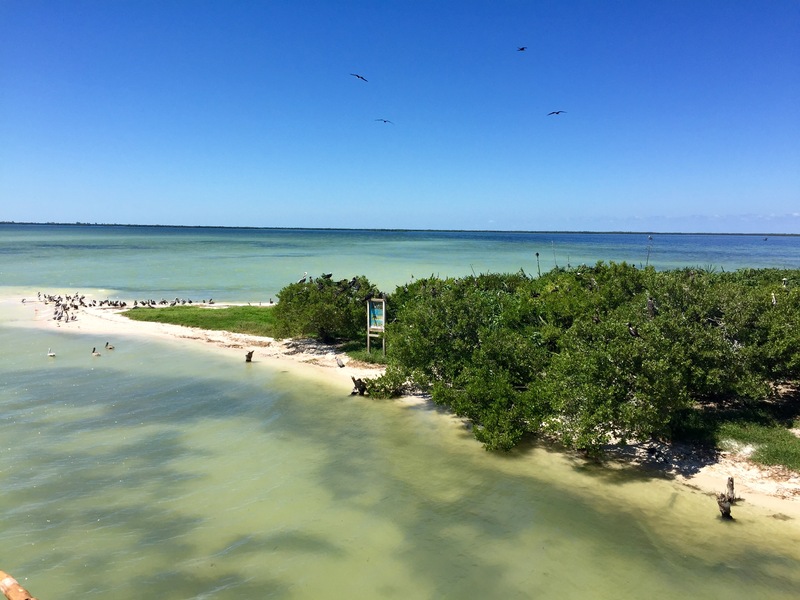 One can make a boat trip through the mangroves, go to a full cenote or a mangrove, or walk on the Isla Pasion for the rest of the day or see the large pelicans from Canada. You will understand why Isla Holbox is the ideal place for rest and that is the beach, and a very important point during this time: THERE IS NO SARGASSUM on the island, the beaches are not covered with algae, and the landscapes are those of a postcard! Depending on the season, it is also one of the islands where you can swim with whale sharks, from June to September each year, but in recent years, the whale sharks are closer to Cancun. 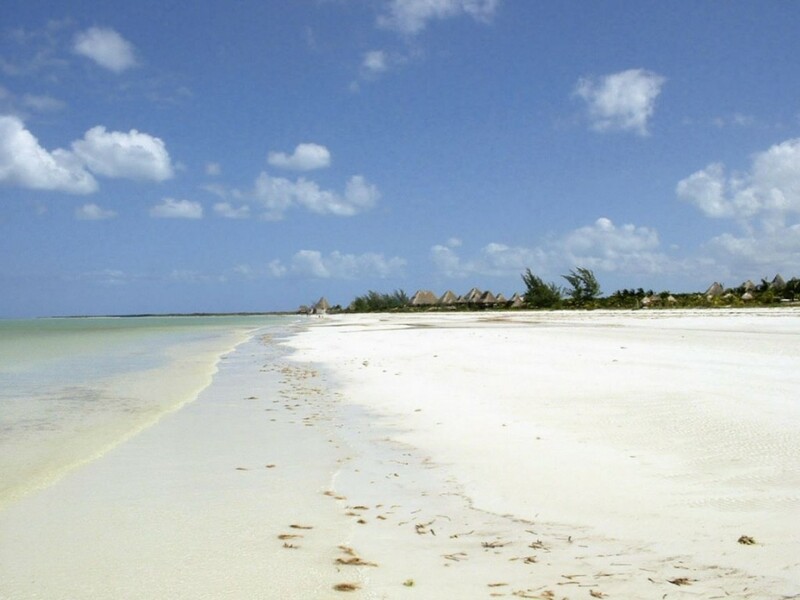 Isla Holbox is an hour and a half away from Playa del Carmen. It is the same distance from Coba, with a very narrow road. It is ideal for a beach day away from the big resorts of the Mayan Riviera. 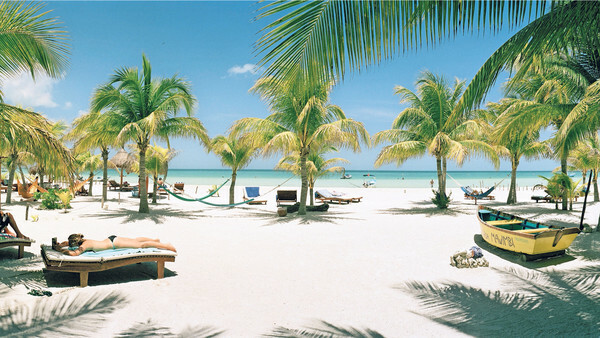 We offer a trip to Isla Holbox, which we are sure will please you!